Canadian Bacon, made in 1995, was Michael Moore's first feature film -- and maybe his last. If you didn't like Michael Moore's movie Canadian Bacon, it might have been because you went to private school. Moore's latest film, like every one of his efforts except the 1995 satire starring John Candy, is a documentary called Fahrenheit 11/9. It is making its premiere at the Toronto International Film Festival. In 1995, Moore was in Toronto for the debut of Canadian Bacon and talked to CBC arts correspondent David Gilmour, who didn't like the film — in which the U.S. president invents a pretext for a war with Canada — and wasn't shy about telling Moore. Gilmour started with the title. Given its "stunning banality," why choose the name Canadian Bacon? "I picked it for an American audience," said Moore. "If we went to war with Canada, what would we call it? Operation Canadian Bacon." But Gilmour was just getting started. "What made you think you could direct a feature film?" he asked. "I'm supposed to be building Buicks right now on the first shift assembly line in Flint," replied Moore, who was an autoworker in Michigan before being laid off and making his first documentary, Roger and Me. "I'm as shocked as you are." Gilmour went on to tell Moore that some people found Canadian Bacon "appalling" and "not funny at all." "Those people like art-house films. 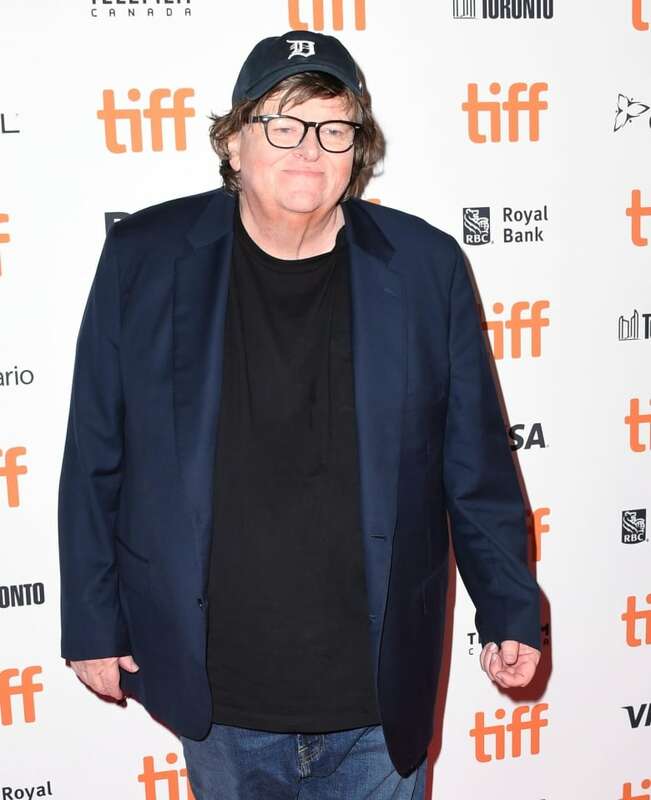 I made a film for people like me," said Moore, who won an Oscar a few years later for his documentary Bowling for Columbine. "People who live in Flint, Michigan or Hamilton, Ontario or Sarnia ... another critic said this is the first left-wing film for the mall crowd ... I consider that a compliment." The conversation proved so lively and engaging for both that a second segment was aired on CBC's On the Arts the following week, as seen in the clip below. "You have every right not to like [Canadian Bacon]," said Moore. "I wanted to present this hybrid of satire and farce with a mix of politics to get people thinking about a particular issue, in this case, why are Americans led like lemmings to war?" To date, Canadian Bacon remains Moore's sole effort at making a fictional film.